Octopus expects your package to contain all of the files needed to run the application when it is deployed (along with any scripts needed for deployment, and any configuration transformation files, etc). Only binaries and files needed at runtime are included - C# source code files, for example, are not in the package. The binaries aren't just for the current application - they also include any other assemblies needed for the application to run. 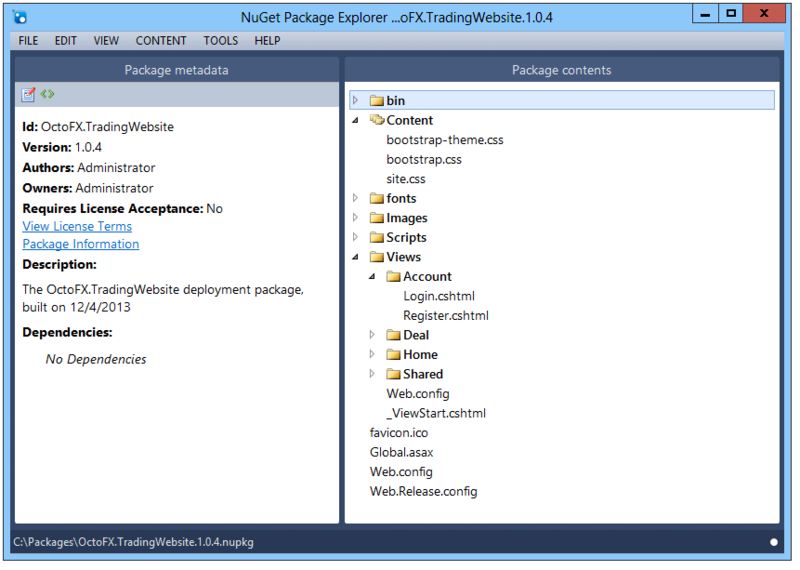 ASP.NET apps (.NET Framework): use OctoPack. 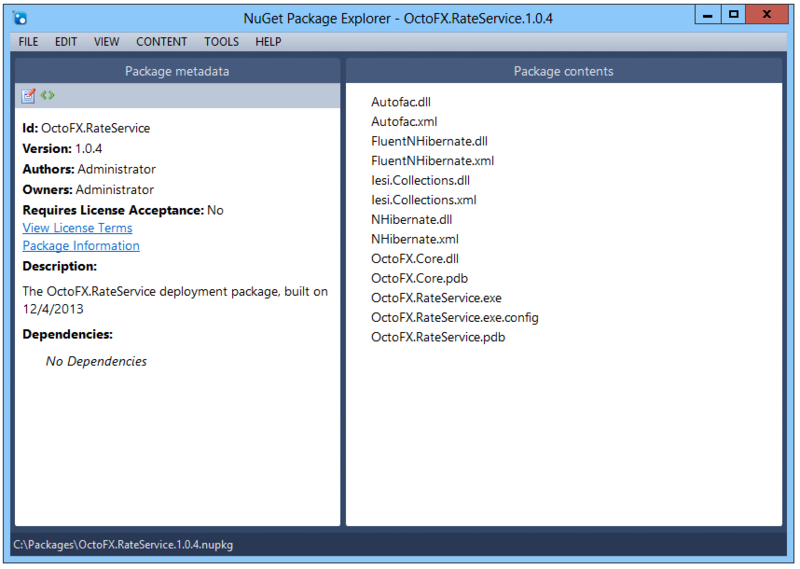 Windows Services (.NET Framework): use OctoPack. .NET Core apps: use dotnet publish on the project followed by octo.exe pack on the output directory. Working with TeamCity: use our extension, octo.exe pack or even the built in tools for TeamCity. Working with Azure DevOps: use our extension and/or octo.exe pack. If you just want to package up a folder as-is: use octo.exe pack or just zip it up! As long as you can create one of our supported packages, you can deploy your application with Octopus Deploy.